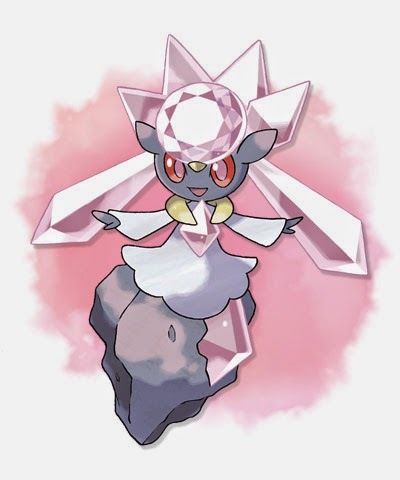 Diancie, the latest Pokemon in the series. Nintendo recently announced a re-release of Pokémon Sapphire and Ruby for the 3DS. The future for the series is bright, but have we already forgotten the past? This week on the podcast, Scott and I take on the ultimate challenge: How many Gen 1 Pokémon we name? Along the way we chat about pokemon design, history, and gender. We encourage you to play along and let us know how many you come up with in the comments below! Even when you guys phone in an episode, it's a good listen! I was on transit when listening, so couldn't make my own list, but I would estimate I could probably hit 80 or more of the original 150 given an hour to mull over it. And for the record, I don't care much for the games, though I did watch the show when I was younger and made it to the end of the GBA remake one of the original games in an effort to understand the massive appeal. I'm not sure why so many pokemon are retained in my long-term memory, but at least it made me feel smug while listening to you guys forget a name or miss some "obvious" ones (come on guys, Butterfree? Butterfree. Come on guys. ).